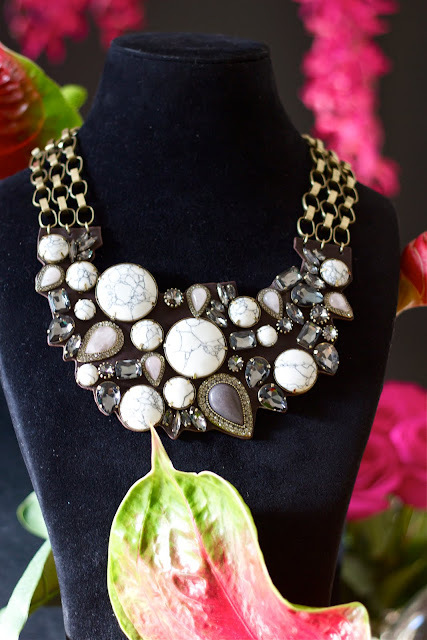 Samantha Wills is the leader in beautiful and glamourous pieces of Australian jewellery. The new Wanderlust collection does not disappoint, taking on the trend of stackable arm candy while still keeping to her iconic style. The new designs incorporate stunning bright stones and detailed metals creating a visual feast to die for. Surrounded by beautiful lush and vibrant decor, you felt like you were being transported into designer Samantha's own bejeweled rainforest plucked from her imagination. If you've been a Wills fan from the very beginning fear not, her signature pieces continue to make an appearance mixed amongst brand new styles. What a beautiful jewelry! It is hard to choose one favorite! My favorite has got to be the 1st one. The bib necklace is stunning. have a magnificent space, if you like poetry I invite you to my space with poems full of emotion, I have a translator. That necklace is amazing, so beautiful. Loving everything about this collection! wow, this is nice! I honestly like pretty much everything and it's so cool to find out about different Australian designers who of course are completely new to me. Love the wooden boxes... Does the jewellery come in the boxes?? very cute.